Goals, objectives and on falling in and out of routine. Of all the activities I set out to do this year it occurred to me that after the 2018 Winter Fan Dance and especially my failed attempt at the Woodhouse route I really had only one goal. Get back at the Winter Woodhouse and smash that route. But as months progressed it turned out to be much more than just that. This journey started in 2014 with a single goal, the Catterick Paras’10. I never expected to do it again in 2015. Do it all over again in Colchester 2016 and later that year again Catterick. It’s safe to say tabbing has become the main focus of my fitness training. 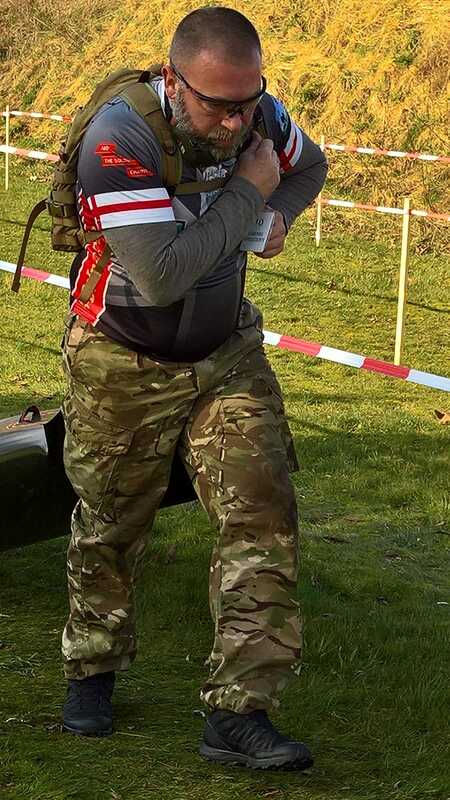 So, it was only natural I evolved from the Paras’10 races to the AEE Fan Dance series held twice a year in the Brecon Beacons in South Wales. It was the Fan Dance that made me realize that just the occasional TAB around the block was not going to cut it for training, even if combined with a run or two. I did look back, saw how far I had come and decided a new strategy was needed. The Blacksheep project was launched around the same time I started upping my game and became more ambitious in my running goals. Timing was perfect. My failure on the Woodhouse route had to become an incentive to train better and smarter. So, when I recovered from last January’s FD I set out the activities I was going to participate in… striving to get new PB’s in every one of them. Possibly with the exception of July 7th Fan Dance, which is about getting my lovely wife Laura over the Fan in once piece and let her enjoy her first real TAB in the Brecon Beacons under the AEE flag. I still had my charity page for both Support our Paras and the ABF Soldier’s Charity to remain accountable for promises I make. By now I’m less than a month away from the Colchester Paras’10 and somehow, I feel readier for it than ever. Driven like the snow. Training needs to become routine, more a part of daily life than it was before so I could forge that better version of me and know that it’s going to be a slow route with a lasting change instead of a fast track of fast but short-lasting results. Run more often, but importantly start running further and longer. Right now, it won’t be before long I’ll be able to run half marathon distances. That distance is to become routine the coming months combined with the odd TAB. I’ve learned to be self-motivated. Having surrounded myself with people faster and smarter than me in what they’re doing. It keeps me sharp and keeps me from becoming complacent. And from that comes something that I hope inspires people to step outside their comfort zones and do stuff they found impossible in the cells of their heads before. Even so, it’s easy to fall out of routine. Life happens all the time, for me it could be a weekend with a couple of extremely busy shifts in the hospital and I find myself lacking the energy to get out there and go from shift to shift. Spring’s here, the sun starts shining and an invite to kick back a pint with friends is as tempting as it is to get that new PB on a 10k run. I have fallen out of routine from time to time. Finding balance is key. But make sure the choice is right to fit your needs. Most important is to realize that your choices bear consequences, the road to your goal may get a bit longer. It depends on how much time you have and the goal you have set.